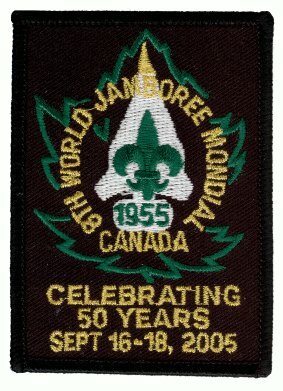 Ted opened the meeting at 19:13 following a visit to the Niagara Scouting Museum. Doug Frazer was in attendance for the first time. Doug was a Rover during WJ'55. He has not been recently involved in Scouting. Tony noted that the November minutes incorrectly recorded that George Howse was present at the meeting. It should have read that George Repar was present. Ted has written to Tyler Arrell about the World Scout Bureau approvals and promoting the event with other Scout associations and is awaiting a reply. Tony's article was submitted for inclusion in the February Leader magazine. Tony has met with Donald Willey, son of the WJ'55 official photographer. The company, Shore and Willey, had anticipated being the only photographer at the event. Other shops were selling postcards and ViewMaster reels. Shore and Willey nearly went bankrupt. Mr. Willey insisted that Shore and Willey photographs are not be copied as they remain under copyright. Tony announced that the local chapter of the Scouts On Stamps Society International will arrange for a commemorative cover for the event. The president of the chapter is an director of the wider SOSSI and will seek to arrange a SOSSI meeting to take place as part of the event. Members of the Badgers' Club are also interested in meeting. The Kinsmen Scout Hut was suggested as a location for these meetings. This building retains its name though it is currently city property.